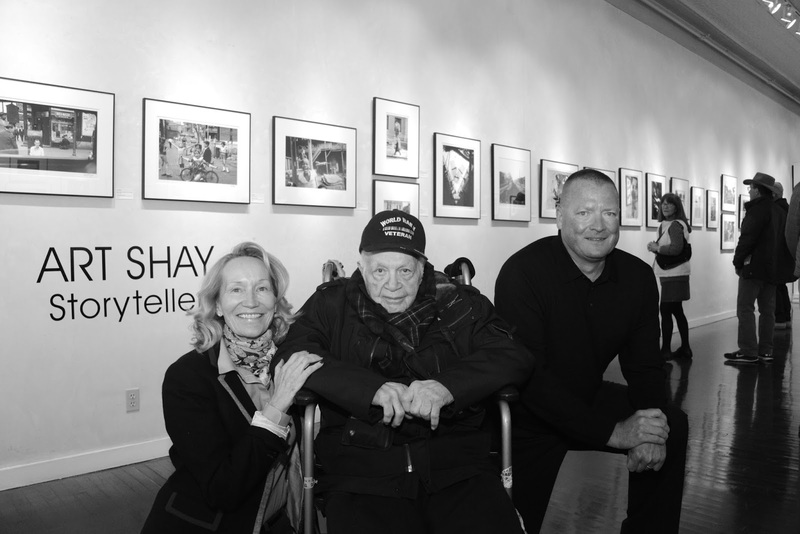 We are very saddened to announce the passing of American photographer Art Shay. The Chicago Tribune carried the news of his death and called him a "giant of 20th century Chicago". Born in 1922, he grew up in the Bronx and then served as a navigator in the U.S. Army Air Forces in World War II, during which he flew 52 bomber missions. Shay joined the staff of Life magazine as a writer, and quickly became a Chicago-based freelance photographer for Life, Time, Sports Illustrated and other national publications. He photographed seven US Presidents and many major figures of the 20th century. Shay also wrote weekly columns for various newspapers, several plays, children's books, sports instruction books and several photo essay books. Shay's photography is represented by Monroe Gallery of Photography and is in the permanent collections of major museums including the National Portrait Gallery and The Art Institute of Chicago. Art Shay was honored with the Lucie statue for Lifetime Achievement in Photography during the Lucie Awards gala ceremony at Carnegie Hall in New York October 29, 2017. Below is the video introduction featuring Michelle Monroe of Monroe Gallery of Photography. 2017 Lucie Awards Honoree: Art Shay, Lifetime Achievement from Lucie Foundation on Vimeo. Just a few days ago, Chicago Magazine published an article titled "Legendary Photographer Art Shay Tells His Remarkable Story". Monroe Gallery was very honored to feature his work recently during the 2018 AIPAD Photography Show, and in the gallery's current "LIFE in Pictures" exhibit. In recent days, Art told his friends and family he wanted us to learn from his work what life was like when he was alive. His work will be treasured by many for generations. We were pleased to feature many of Art Shay's photographs during the recent AIPAD Photography Show in New York, and the current gallery exhibit "1968: It Was 50 Years Ago Today" includes several of Shay's 1968 photographs. 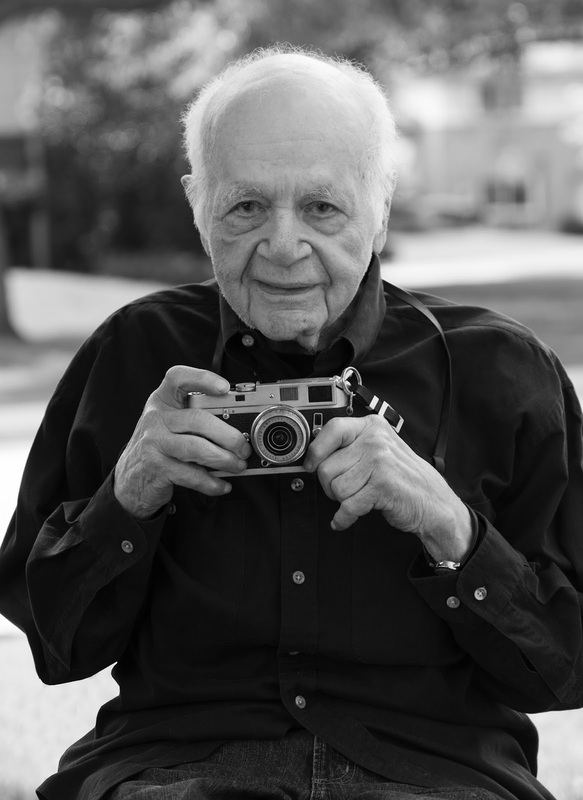 In 2017, Art Shay received the Lucie Award for Lifetime Achievement in Photography. My father taught me as a kid that anything you can see, you can photograph. He gave me his Kodak camera, a very doughty instrument that was capable of making great snapshots, and I began developing pictures in the basement. I built an enlarger out of a coffee can and emptied out a coal bin for my darkroom. A photo is a biography of a moment that would otherwise have gotten away. I became a lead navigator during World War II. I survived the famous Kassel mission, where 31 B-24 Liberators didn’t make it back. And I had a Leica shot off my chest in a fighter attack and got through that OK. I knew I could become powder all the time, but it never bothered me. I never really, in my heart of hearts, believed it could happen to immortal old me. My first published pictures were of a midair collision. I had eight shots left on my beat-up old Leica, an orange filter on it ready for the sky, and the shutter at 500. I heard this roar overhead, and there were 50 Liberators. Two of them hit, and they started to go down. I got a hundred bucks for it. My wife, Florence, taught me that I am better and smarter than I really am. She was known as the best of the photographers’ wives at Life magazine. She could get me off of a ladder in Seattle on a Friday afternoon and have me on deck for a Sports Illustrated football game the next day in Kansas City. My son Harmon was a character. He went off the IQ charts at 200. The whole house is cluttered with his inventions. He was murdered in the hippie jungles of Florida in 1972, just two weeks before his 21st birthday. You don’t get over that. I often cry when I’m driving alone. What a waste it was. I’m very good at hiding cameras on me. I learned that from an old Life photographer, my mentor Francis Reeves Miller. He was a little guy from Texas who looked like Santa Claus and drank 20 film containers of straight rye whiskey on every job. Elizabeth Taylor was the loveliest woman I’d ever met, and she had the humor of a Bronx housewife. I did 83 Mafia stories, if you can digest that. The last one was in a grass alley in New York. I went into it with my little Leica and telephoto, and there were all these guys playing poker on either side. They looked up, and there’s Life magazine. A couple of guys drew their guns. I knew they weren’t gonna shoot me, and they knew they weren’t gonna shoot. But it’s still unsettling when someone points a gun at you. Don’t invest too much in your own immortality, if at all. View Art Shay's photography here.